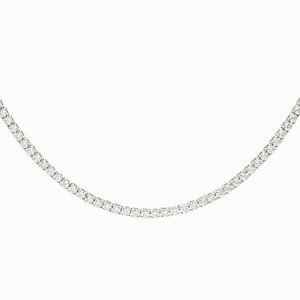 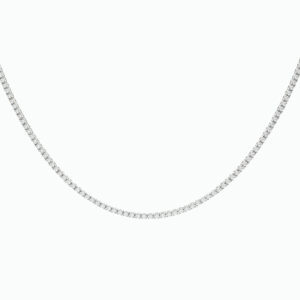 An elegant silver tennis necklace. 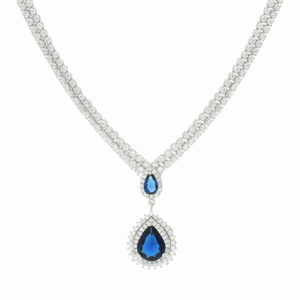 An elegant silver necklace with a centre blue stone with cubic zirconia. 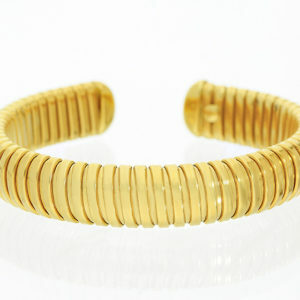 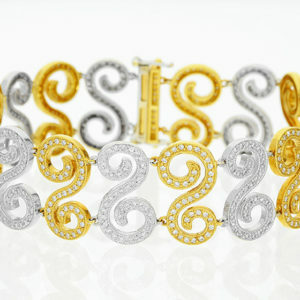 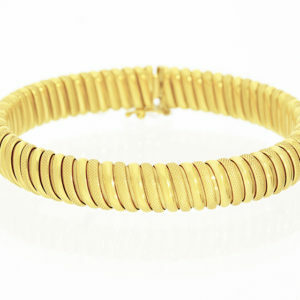 It has the matching ring and earrings which together make a stunning jewellery set.